There are many benefits to working with Innovation York Entrepreneurship, but our perks package is key. Check out all of our great partners and the exclusive programs you can access! Technical support with technical experts to understand the IBM Cloud technology and how to migrate from your existing infrastructure or platform. To take advantage of this opportunity, please contact us for details. Cash or accrual bookkeeping based on the company’s needs. Industry-leading technology solutions so company data is stored in the cloud. Financial reports paired with the expertise of real accounting professionals. MaRS Market Intelligence Services provides secondary research data and reports from public and proprietary databases free of charge for eligible startups. Access to thousands of reports covering key technology clusters from vendors such as Frost & Sullivan, Gartner, MarketsandMarkets, and Medtrack.Access MaRS’ team of analysts and information specialists with industry knowledge of Information & Communications Technology (ICT), Health and Cleantech sectors. luminari operates a program known as #FinInTech, where they focus on helping early-stage Canadian startups become massively successful by providing access to financial know-how they often lack and can't afford. 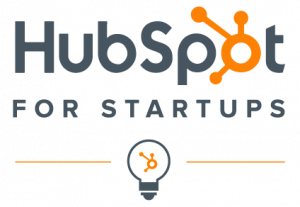 HubSpot for Startups Program is a software platform that helps you generate leads, close deals, manage your pipeline, and delight your customers at an affordable rate. HubSpot offers a growth stack of products for customer relationship management, marketing, sales, and customer service: powerful alone, and even better when used together. 90% off HubSpot’s Marketing Hub Starter, Pro, or Enterprise software, HubSpot Sales Hub Starter or Professional software, and HubSpot's Service Hub, for the first 12 months, and 50% off for the next 12 months (Up to $40,000 savings over 2 years). Startup Onboarding with tech set-up (reduced one-time $300 cost), dedicated strategy consulting, and round-the-clock support. $3,000 in Google Cloud Platform and Firebase Credits*, good for 12 months. Invitations to exclusive local Google Cloud events. $500 in Qwiklabs credits to kickstart your company's hands-on lab training initiatives. One year of free G Suite (up to 5 Users - only valid for new domains), or a year of discounted upgrades to G Suite Business or G Suite Enterprise. An opportunity to apply to the Spark program to extend your credits to up to $20,000 for a second year as your business continues to grow. Early access to events and new product betas. NuBinary is a software development shop based in Toronto/Waterloo corridor. It specializes in building custom Cloud and IOT web-scale Applications, Mobile applications, MicroServices, Cloud Infrastructure, and tech Consulting. We help our customers with market discovery, strategy, and building customer-driven software applications. We believe and breath in Agile Software development and bring about decades of cumulative experience in large scale cloud, web and mobile application development. First 6 hours of mentoring, coaching and analysis sessions are offered at no cost to develop "scoping document"
Opportunities to add on a fax line, toll free number, and additional devices at a discounted rate. They also offer complimentary business services assessments, fixed-fee services for convertible note, SAFE seed financing rounds and other customized packages. 10% off Founded, which can be used by new businesses to incorporate or existing businesses to manage everything from ongoing company changes to tailored employment, website and other agreements. Aird & Berlis LLP is a startup-friendly business law firm that provides local, national and cross-border legal expertise to startups and entrepreneurial businesses at all growth stages. Their relationships with financial institutions, government agencies, and large multinational corporations can provide an advantage for your business. As well, their connections and affiliations, both in Canada and internationally, can enhance your ability to successfully complete major international financings and assignments. The lawyers in Aird & Berlis’ Startups Group will help you get the right business structure set up, draft contracts properly and get the appropriate legal protections in place from the start to maximize the return on your business. 2 complimentary credits per month that can be used at any of WeWork’s 274+ locations and applies to workspace or conference rooms in select locations from 9 am to 6 pm, Monday through Friday. Ability to buy additional workspace after the first complementary, monthly booking. Access to the WeWork Member Network App which connects to more than 250,000 members. Access to programming within WeWork spaces including panels and events and ability to host their own events as a way to drive awareness in international markets. Business services and lifestyle perks available only to WeWork members. Please note that this opportunity is on pause, we will notify you once it is renewed.